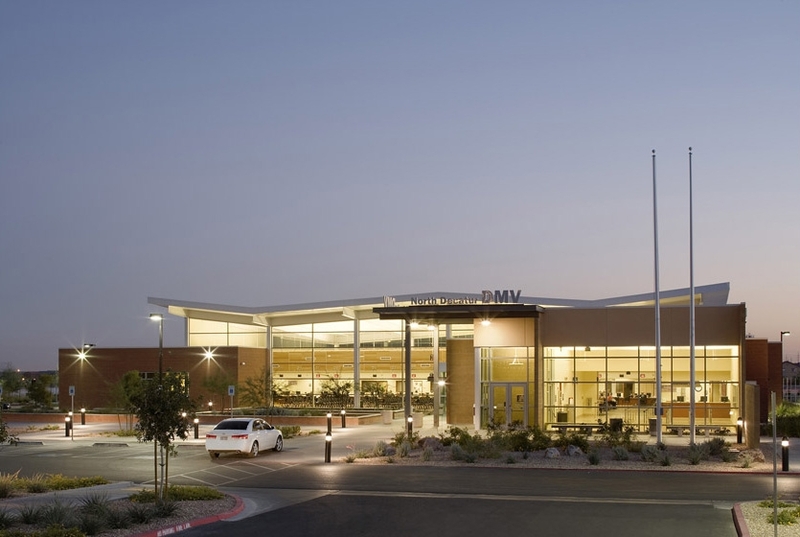 Supporting the comprehensive range of Nevada Department of Motor Vehicle services and licensing, this 23,600 square foot facility opened in 2005 to support the service needs of the then rapidly developing northwestern Las Vegas Valley. 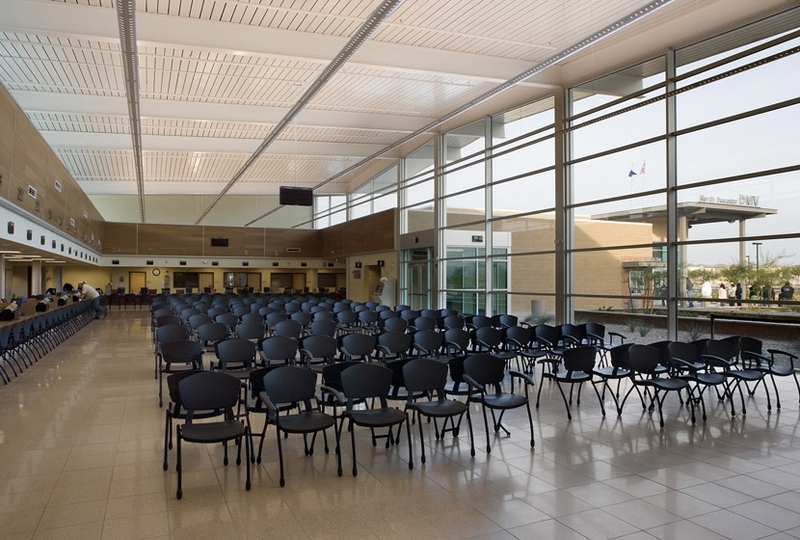 The design process involved the re-examination of Nevada Department of Motor Vehicle Service Center operations to identify critical customer service and functional building design challenges. Of particular focus was the inherent frustration that NDMV customers felt when visiting existing services centers. Subsequently, the client and design team determined that the design solution needed to focus on “better space through less architecture to serve complex operations”. In plan, the project is organized around a single waiting area with customer service counters on three sides and to the north a glass facade opening out to a landscaped courtyard. In addition to the north façade the waiting area is naturally lit through a southern facing clerestory shielded by a deep overhang preventing the intrusion of direct sunlight. Signage, a particular challenge in this project, is organized above the plane of normal visual clutter and modulated in scaled to increase legibility and customer way finding. Acoustically absorbent materials are utilized extensively throughout the large room to minimize noise and enhance aural perception. The $6.5 million project occupies 14.25 acres of a 33 acre parcel acquired in a land transfer from the Bureau of Land Management. Site planning and onsite services have been developed in anticipation of future Nevada State Public Works Board capital projects.